Listening to my kids talk about Skylanders is like listening to a foreign language. There are all these character names I don't know, coupled with talks of powers, lives, and whatnot. I really can't follow it all, but listening to 3 of my kids talk about it so passionately made me really want to know what was going on in their world. 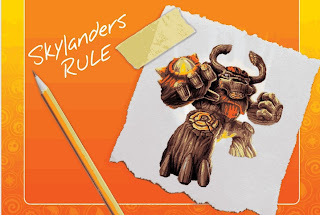 That's why I thought it was fun that Skylanders wants to "school" parents with a downloadable homework pack! Divided up into simple lessons to teach mom and dad what their kids are doing when they play, the packs are a fun way to connect with your kids this summer. Parents can look forward to quiz sheets at the end of each chapter to test on what they've learned that day. There are even reward charts to stick on the fridge door with a Skylanders sticker that children award parents once a chapter is complete successfully! Ready to get started? Download your Skylanders Homework Pack at this link and your Skylanders cards at this link! Wanna Win? We are also giving one lucky reader a hard copy of the Homework pack and a surprise Skylander character! To be entered to win, just tell us which character is your favorite. You have until May 28th at 11:59 pm CST to get your entries in. We'll randomly pick one winner to get the prize. Open to U.S. residents ages 18+ only, one entry per person. 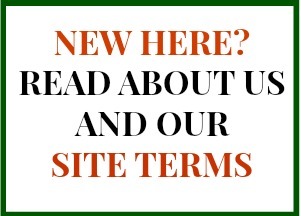 Full promotional rules here.